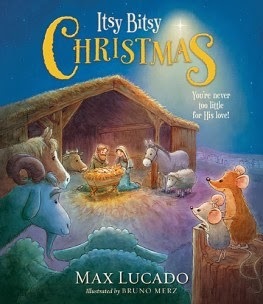 I love Christmas picture books that share the true meaning of the holiday with my littles. This book is geared for ages 2-7, but my older ones still always enjoy a good story. Itsy and Bitsy are a brother sister duo on the streets of Jerusalem during the time of the great census. They see people and animals flocking to their city. One donkey lets them know that the King is coming. Itsy and Bitsy leave the barn in search of the King. They look in all of the important places where a King might visit, the City Gate, the City Market, the Hotel.. looking for signs of the King. The mice are sad that the naysayers are right.. the King wouldn't come to a small town like Jerusalem. Ahh, but he did come and his name is Jesus! Beautiful illustrations by Bruno Merz show the emotions of these animals so seeking a King. This will be a classic to read each year for your family. Click HERE for coloring sheets to go along with the story. Give them some responsibilities that they can handle and discuss things that they are the perfect size for. Sometimes it helps to show them photos of when you were small, too. I make sure my 2 year old does everything his older siblings do. Even if we have to do things for him in a different way he is included. I have three children and I always try to spend one on one time with each child. I spend lots of quality time with him doing things he likes. My son helps around the house and loves doing helper jobs. I always let them help and encourage them.